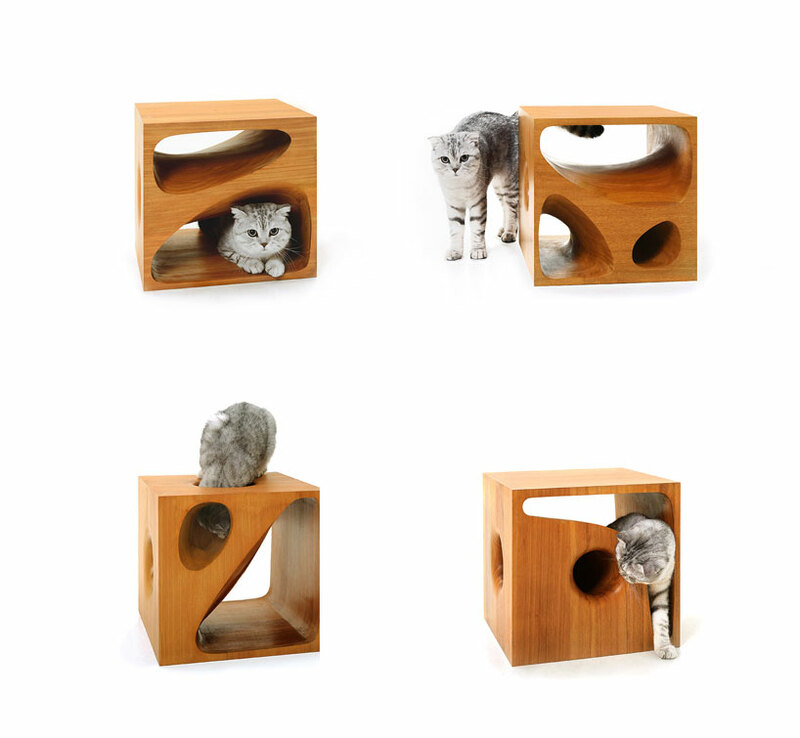 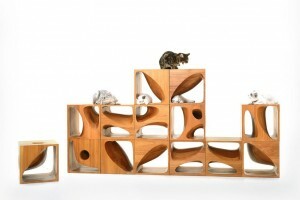 A collection of four carved wooden boxes, these decorative pieces were created with feline entertainment in mind. 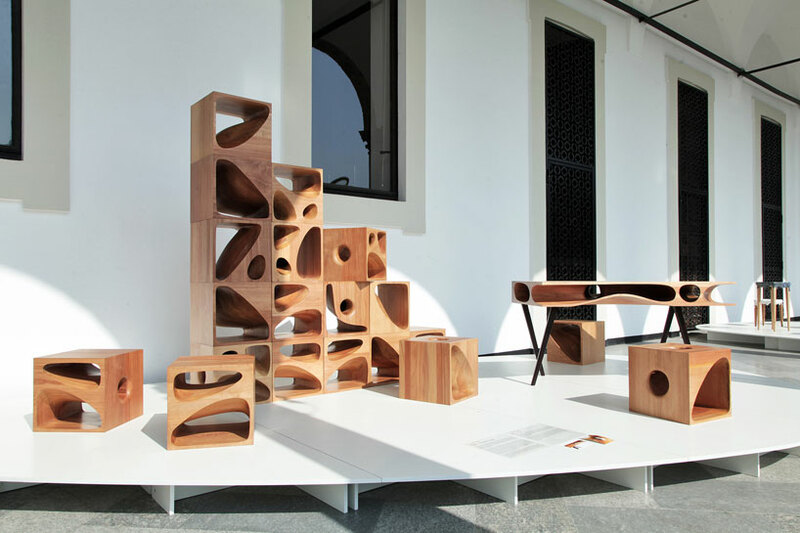 Stack them as you please to create a beautiful coffee table, end table, foot rest, and more. 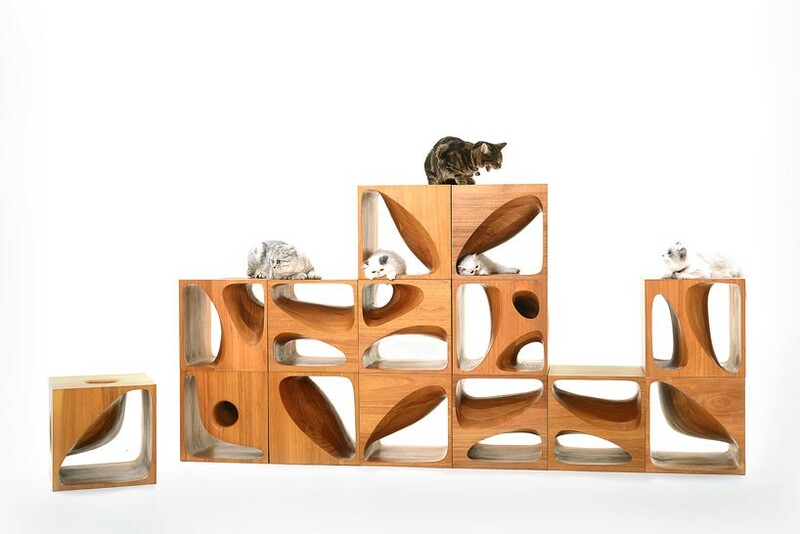 Mixing up the design every few months will keep them engaged and curious.